Nash Timbers provided a valuable consultancy service during the tender period which demonstrated their commitment to the project" "Nash Timbers secured 6000 square metres of select grade jarrah overlay" "The product supplied has been of very high quality with little or no defects" 'The supply and delivery process from Western Australia to site was seemless"
The Castlepeake Group of companies specialises in architectural design and construction of high end housing in the Sydney market. As architects and builders who take responsibility for the complete installation of our houses we pay particular attention to selection of materials with an eye to design quality , durability and cost.We have a continual demand for quality timber products to be used in our flooring, staircase material ,joinery, decking, specialist beams and posts Over the years we have found David Nash of Nash Timbers to provide the highest levels of personal service, delivery and affordability. David lives and breathes timber and can advise on design, material suitability and availability and is able to source rare species using his intimate knowledge of timber worldwide. His low overheads allow him to deliver at more affordable prices than many of his competitors.Castlepeake looks forward to continuing our relationship with Nash Timbers for many years to come. Nash Timbers undertook approximately $50,000 worth of work for us on a major refurbishment of two Heritage Listed buildings in The Rocks Sydney. 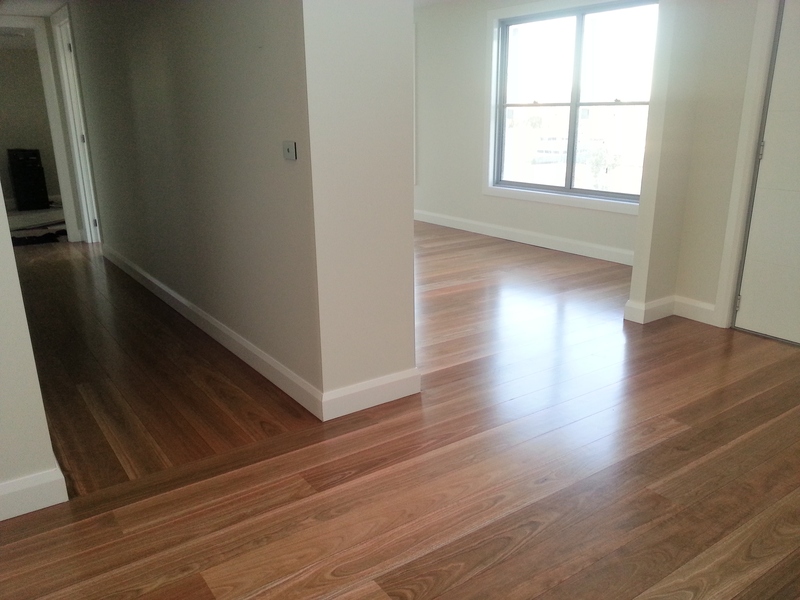 The works comprised timber flooring, timber decking and timber skirtings. Nash Timbers faced a number of challenges throughout the job including odd shaped rooms, walls that were not square, tight deadlines and materials handling. 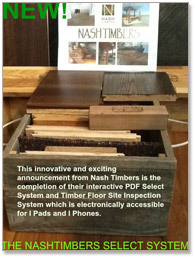 Nash Timbers overcame these challenges with less fuss and achived a high level of quality. Jane & David along with their team look to build long standing relationships with their customers and I will continue to use them on future projects. Nash Timbers have supplied and installed timber on 3 jobs for my company. I have found the consultation process has been excellent helping in the selection of the timber for my client. Flooring installation has been very successful with a constant communication between Nash Finishes and me. To ensure the job went as smoothly as possible. Nash Finishes are willing to address problems that arise and offer workable solutions Please do not hesitate to contact me. · supply and laying of flooring material We will contact you shortly to discuss. On behalf of the staff from Jackson Teece who attended the recent Nash Timber presentation, I would like to thank Nash Timbers for giving us such a richly informative and relevant summary of considerations for specifying and using timber in our projects. You managed to extract the salient points from a sometimes overwhelming body of technical information and make the subject matter interesting and understandable to all. In particular, your showing of the various timber species samples and the information pertaining to the environmental aspects of timber flooring and finishes in general was very helpful to the staff. I‘m sure that the Jackson Teece staff will be happy to contact you in the future because of your broad knowledge and understanding of the timber industry. The timber decking is exactly right. It looks beautiful, will email you some photos of the finished deck along with some of the blackbutt flooring. We really appreciate your help & advice. I have been meaning to contact you to say thank you for supplying the beautiful timber floor for my home. I was very impressed with the way the floor you supplied looked in such extreme circumstances. I wish to confirm that I have known David Nash for at least 10 years and have used the services of Nash Timbers since they began trading. Nash Timbers have provided timber flooring and structural timber, and have supplied and laid timber and parquetry flooring for our company. At all times when I have met with David both on site and in his office, he has clearly identified the correct processes to be followed to ensure that the appropriate natural timber product is used, in the environment proposed, and related the key information to ensure that the timber will service the property appropriately for the long term. Our clients have expressed appreciation of David's knowledge and approach for their projects. - Presence of moisture within the room. - The orientation of the house in relation to direct sunlight exposure into the area to be covered by the timber floor. - The type of substrate / base the timber is to be laid upon, and the appropriateness of the underlay to be used. - The type of finishes which can be used and guaranteed. - The correct species for different areas or environments. In the course of our building projects, we have never had an issue with structural movement of timber flooring where David’s company has been involved. I have always sought David’s extensive knowledge of timber and its characteristics to ensure that we are able to meet our client expectations, whilst ensuring that the products desired are practical and suitable for the application proposed / specified. David has never let me down in this respect. I would have no hesitation in recommending David Nash for any quality timber flooring project, and will continue to rely upon David’s expertise in the future. My name is Joe Sidoti and I am writing a reference for David Nash of Nash Timbers. He tells me he is looking at your project at Cronulla. I have worked together with David and Jane at Nash Timbers for approx 10 yrs now. David supplied and installed the Ironbark flooring we installed in the Berkman house, Coolawin Rd, Northbridge for Bruces friends David and Adrienne. From there David has gone on to supply many jobs for me, both large and small. Scots Church, 6000sqm Jarrah overlay flooring. Cammeray Residences, Western Red Cedar façade battening. Birchgrove, Western Qld Spotted Gum decking. David has an absolute passion for timber and a knowledge of same that is probably unmatched in the industry. He is able to source quality timbers and takes care in ensuring timbers are supplied to specification and to expectation. He also utilises excellent installation teams who install and finish quality flooring. David is able to work together with you in preparation to ensure the correct systems are adapted to overcome some of the inherent difficulties in working with timber, a natural product. David will also work with you to manage the procurement of your product right from the source – ie visit the mills with him and inspect your product. Lately I have been liaising with David regarding a unique project which will involve sourcing and installation of different timbers different from parts of the world that will be installed as part of the refurbishment of the old French Trade Consulate Building in Bellevue Hill. I have no hesitation in recommending his services and attesting to his knowledge and helpfulness that will assist you in your project.